If you want outdoor furniture that is durable, lightweight and will never rust, PVC patio furniture may be the perfect choice for you. Available in classic lines or modern styling, PVC furniture is made to last for many years to come. PVC, also called polyvinyl chloride, is a very durable type of recycled plastic that is specially treated when it is used for making furniture. Once it is treated it is called furniture grade PVC pipe. It is extremely durable and made to withstand the harshest weather and climates. The frames of PVC furniture are constructed from pieces of furniture grade PVC pipe that are cut to size and attached together with various types of PVC pipe fittings. There are many different types of outdoor furniture pieces, in several style choices, made from PVC pipe. Not every piece of furniture is offered in every style or by every company. The Internet provides many websites that offer patio furniture made from PVC pipe. The following is a small sampling of these e-tailers. Patio PVC carries outdoor furniture for patios, decks and pool areas in classic, modern, sling and classic H frame styles. All of the PVC pipe used at Patio PVC is furniture grade and made in the United States. Pipe Creations offers a unique line of PVC furniture that they design. The pieces are hand crafted with furniture grade PVC and are available in Regular, Grande and Grande XL sizes. The Grande and Grande XL pieces are extra wide and extra large to accommodate big and tall people weighing more than 250 pounds. The custom design of the furniture made at Pipe Creations is rounded and curved rather than the straight lines of most PVC furniture. PVC Workshop provides plans and instructions for outdoor PVC furniture for a nominal fee. How to Make PVC Pipe Furniture: For Indoors and Outdoors by Steve and Edward Baldwin is available from Amazon. 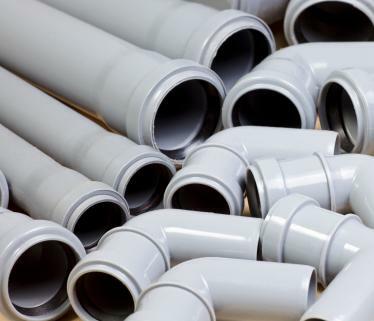 Whether you are purchasing PVC patio furniture online or from a brick and mortar store, always make certain that the pieces you are buying are made from furniture grade PVC pipe. Once you choose the style and pieces you want, you will enjoy your outdoor furniture through years of fun with friends and family.